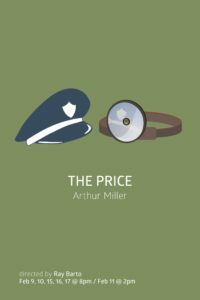 The Price is a 1968 play by Arthur Miller. It is about family dynamics, the price of furniture and the price of one’s decisions. The play premiered on Broadway and it was nominated for two 1968 Tony Awards.